Schedule Dr. Schiebert as a Keynote Speaker for your next convention, meeting or event. Ann is also available for consultations via telephone. Every week Ann will spend the first part of each program addressing a timely topic. The subsequent program segments will be dedicated to providing listeners with alternative ways to consider the topic. She invites you to complete the Questions for Ann form and to send in your questions. YOUR participation will make this program YOURS and that is its goal – to provide information and to help listeners create new ways of meeting relationship challenges. Almost everything has to do with relationships! Send Ann your questions by visiting this link: www.drannschiebert.com/questions/ or Tweet using hashtag #askDrAnn. 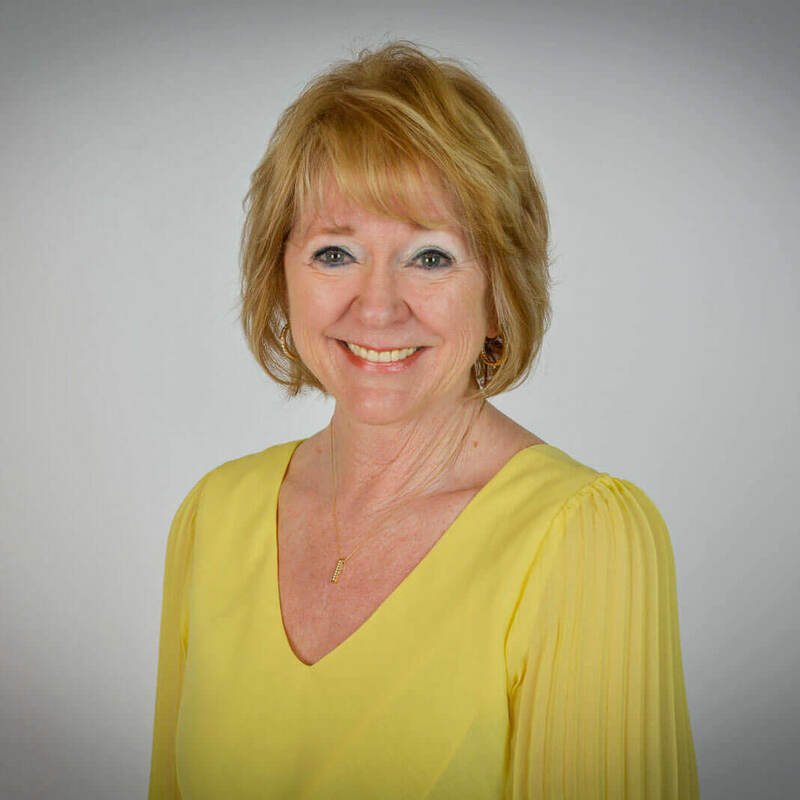 Dr. Ann’s Relationship Radio Show will be broadcast every Wednesday at 7 a.m. Pacific Standard Time, 10:00 a.m. Eastern Standard Time and 9:00 a.m. Central. November 21: Welcome to the program. It’s the holidays. How to Address Thanksgiving Challenges. December 5: Hanukkah and Christmas – What’s Your “Get Through It” plan? December 12: To Decorate or Not to Decorate – A Relationship Opportunity! 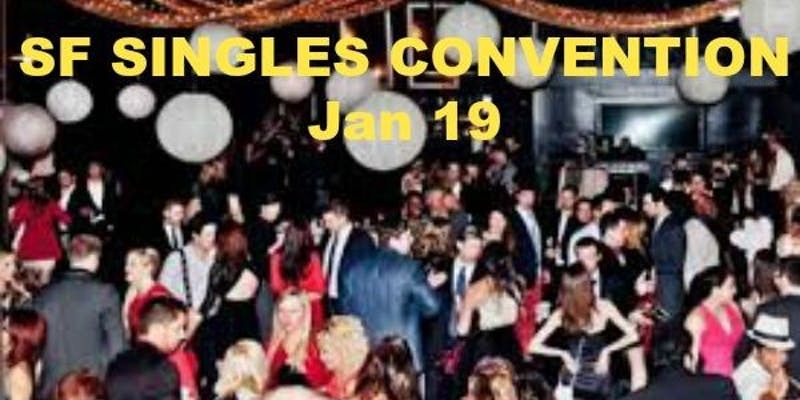 December 26: New Year’s – Fun? Dumb? Numb? Be sure to listen in by visiting the America’s Web Radio Live Streaming link every Wednesday morning. 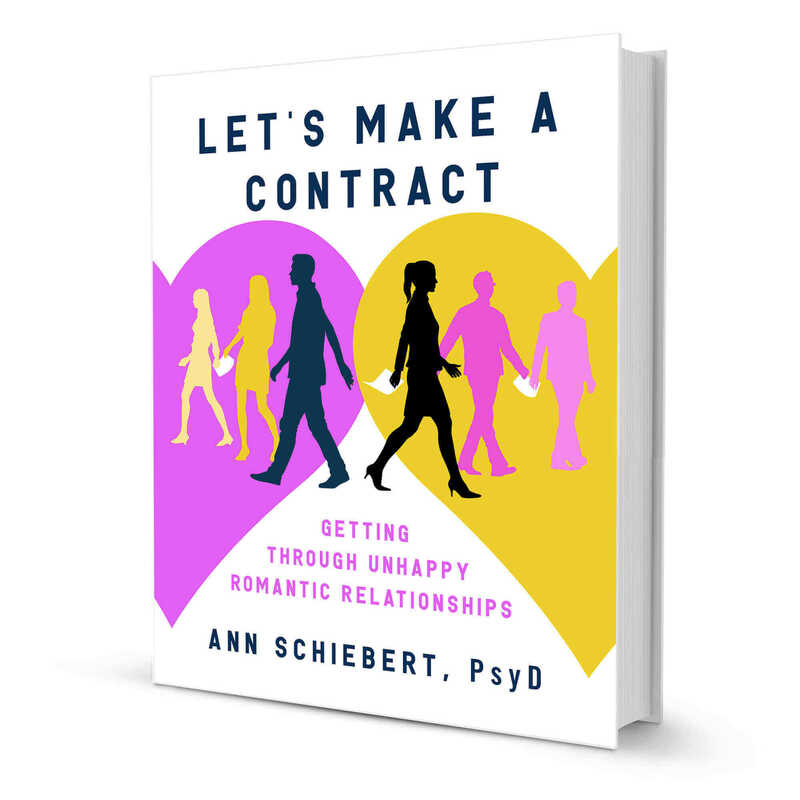 In her keynote Dr. Schiebert will identify the six primary ways to prevent unfulfilling relationships. She will also discuss red flags and deal breakers. A must have for parents and providers! 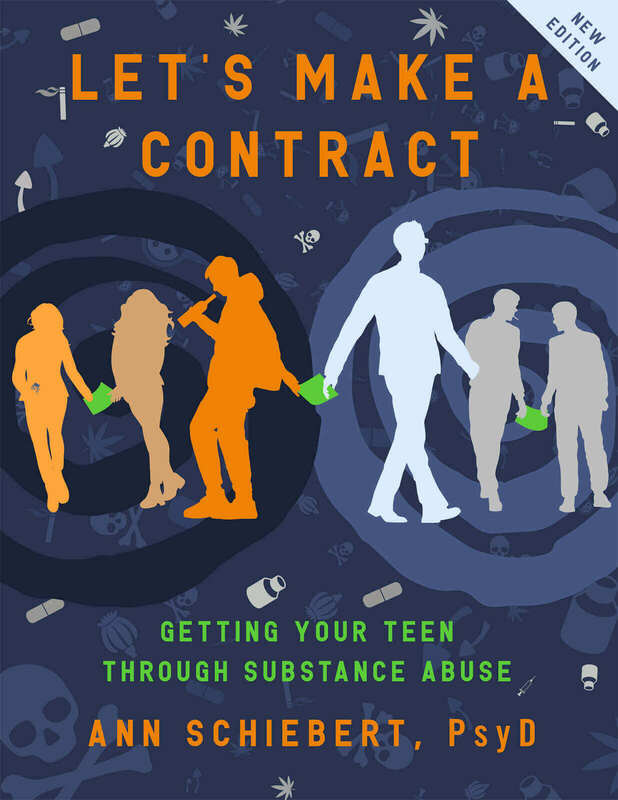 This is an amazing guide on how to work with teens struggling with substance abuse. 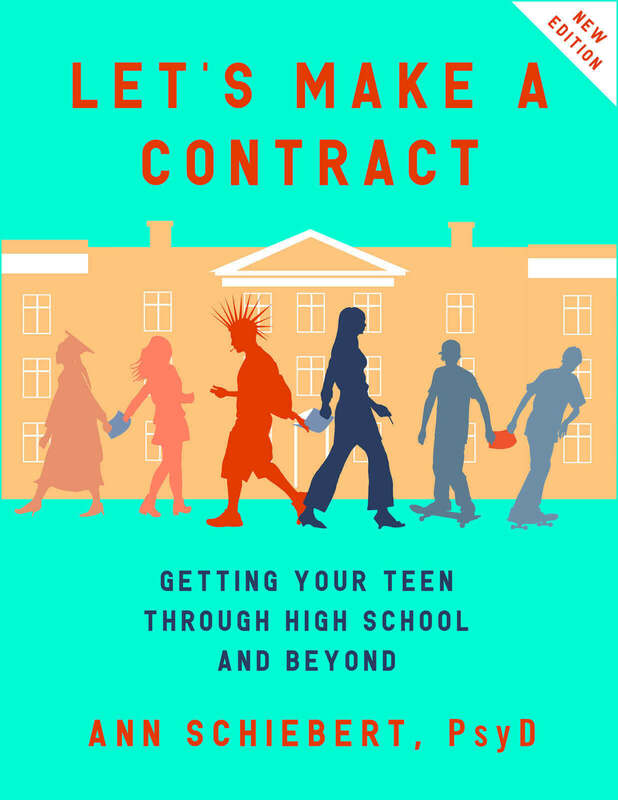 If you are a parent, you will easily learn how to set boundaries, provide structure, and better communicate with your teen. 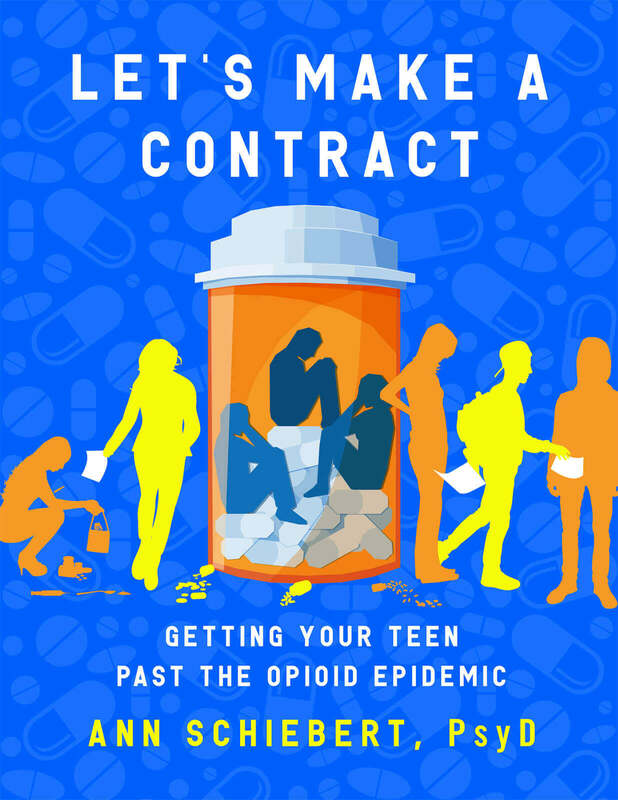 If you are a provider, this book will revolutionize your approach to how you treat substance abuse because the methods offered are uncomplicated, clear, and conscience. Don’t hesitate. This is a must have book! 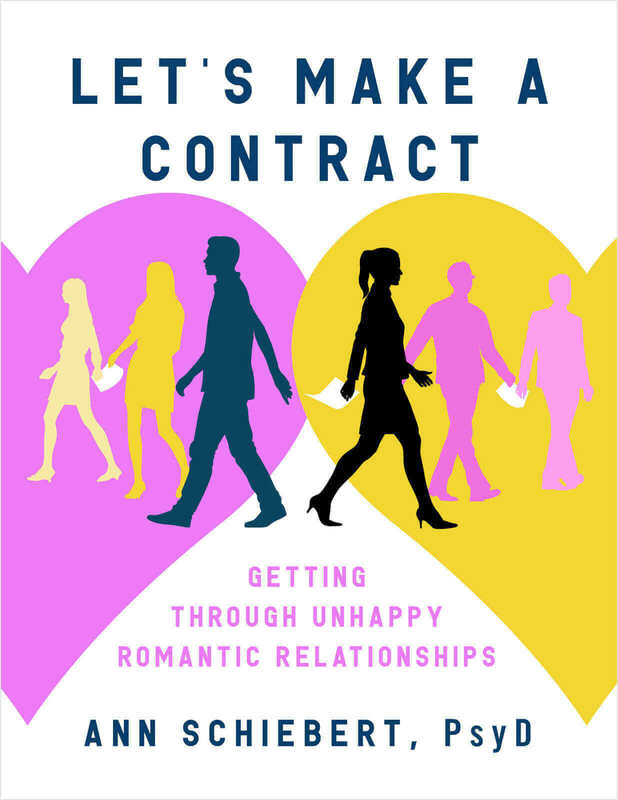 Exceptionally well written, organized and presented, Let’s Make a Contract: Getting Through Unhappy Romantic Relationships is a thoroughly ‘real world practical’ compendium of insights, information, and encouragement, making it an ideal and unreservedly recommended read and an enduringly useful and welcome addition to personal and community library Self-Help/Self-Improvement collections. which will help you determine what you want in a healthy romantic relationship. Turn around your unhappy romantic relationship patterns. It IS possible to find satisfying and sustaining love.